Wow. Here’s part two from Travel Oregon. 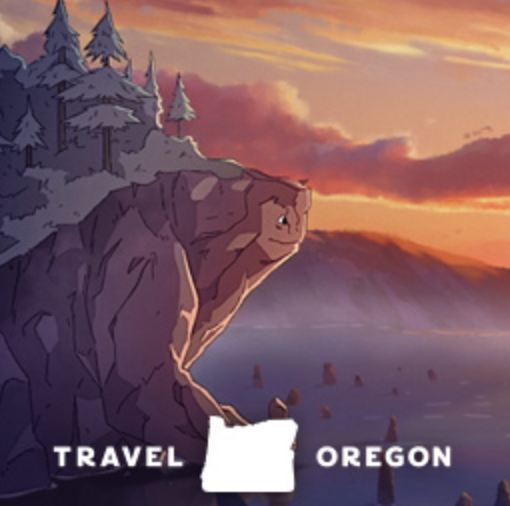 The “Oregon, Only Slightly Exaggerated” animated campaign (see The Travel Vertical, 7/24/2018) has been launched. A new 1:45-minute video continues the visual narrative through a cast of animated characters, fantastical sea creatures, mystical cloud people, and sky whales, accompanied by symphonic melodies. The campaign will run through May 31 in primary and secondary markets of Seattle, San Francisco, Portland, Boise, Tri-Cities, Eugene and Bend. The strong creative teams behind the state’s best-ever 2018 tourism campaign, which generated more than 10 million worldwide views, bring the new video to life. Long-time advertising partner Wieden+Kennedy teams up with animation by Psyop and Sun Creature Studios and a musical score composed by Jim Dooley. Click here to watch an interview with Todd Davidson, CEO of Travel Oregon and the copywriter and art director. Click here to see something truly different…and to show the kids as well. Sound on! Nice work Todd Davidson and Weiden+Kennedy team. Super creative stuff!